Narrative: Ms. Adevai is the Executive Director and Founder of New Vista for Families, Inc., which is a national nonprofit providing services that assist families in need. With over 35 years experience in the nonprofit arena, she has been with this organization for the past 8 years. She is responsible for running an emergency shelter for domestic violence victims. Ms. Adevai hires and trains the staff, runs the support group and provides individual counseling for clients. She supervises the staff and offers counseling and therapeutic services. She also handles community outreach to raise donations and helps the women and children referred to them to get back on their feet and find permanent housing. Ms. Adevai received the Distinction Award from the Staten Island Chapter of the World of Women. She is affiliated with the New York State Coalition Against Domestic Violence, the Human Resources Administration and the New York State Office of Children and Family Services. After obtaining a B.S. in pre-medical studies from Douglass College in 1967, Ms. Adevai obtained a M.S. in Clinical Psychology from Rutgers University in 1970. She completed an internship at Merril Palmer. She is a Licensed Clinical Psychologist. Ms. Adevai began her career as a Staff Psychotherapist and Instructor at Rutgers Community Mental Health Center from 1971 to 1973. She was a Team Leader at Kingsboro Psychiatric Center from 1973 to 1975. She began her part-time private practice as a Psychotherapist from 1975 which she continues to present. Ms. Adevai owned and managed two restaurants/cabarets from 1982 to 1994. She served as a Counselor and Social Worker for Victim Services Family Court Unit from 1998 to 2000. She was the Director of the Domestic Violence Shelter Program for Safe Horizon from 2000 to 2007 and became Executive Director of the Domestic Violence Shelter Program at New Vista for Families, Inc in 2009. Ms. Adevai looks forward to expanding her psychoeducational and counseling services and expanding the shelter. Opening the shelter has been the highlight of her career thus far. In 1965, Ms. Adevai married Joseph, now deceased, and they have four children. In her spare time she enjoys family activities, cooking, embroidery and reading. We are an emergency shelter providing a temporary home and mental/health services for victims of domestic violence and abuse. Simply put, we need charitable and philanthropic donations of any amount. Please contact us to help with any donation, information or philanthropic help you can provide. 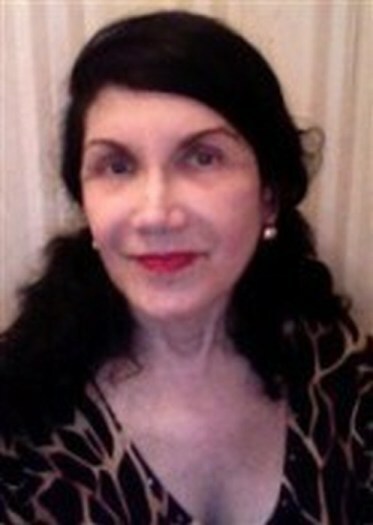 Expertise: Ms. Adevai has over 35 years experience and has been with the current organization for 8 years. She is responsible for running an emergency shelter for domestic violence victims. She hires, trains and supervises the staff, runs a support group and provides individual counseling and therapeutic services for clients. Ms. Adevai conducts individual psychotherapy, marriage couseling, gives parental help and works with patients that suffer from depression and anxiety, charging only a nominal fee commensurate with their ability to pay. She also handles community outreach to raise donations and helps the women and children referred to them to get back on their feet and find permanent housing. Ms. Adevai also serves as a Psychotherapist for her own part-time private practice offering individual and family counseling and group therapy. Work History: Ms. Adevai began her career as a Staff Psychotherapist and Instructor at Rutgers Community Mental Health Center from 1971 to 1975. She started her own part time private psychotherapy practice in 1975 which she still operates. She owned and managed 2 restaurants/cabarets from 1982 to 1994. Ms. Adevai served as a Counselor and Social Worker for the Victim Services Family Court Unit from 1998 to 2000. She was the Director of the Domestic Violence Shelter Program for Safe Horizon from 2000 to 2007 and became Director of the Domestic Violence Shelter Program at New Vista for Families, Inc. in 2009. Career Accomplishments: Ms. Adevai looks forward to expanding her psychoeducational and counseling services and expanding the shelter. Opening the shelter has been the highlight of her career thus far. The shelter is in dire need of funds and all donations are welcome.